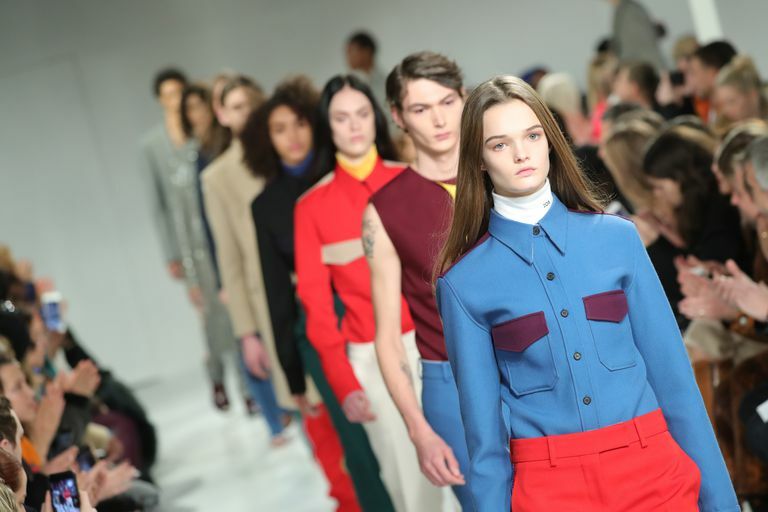 After parting ways with creative director Raf Simons and skipping a season of New York Fashion Week, it seems Calvin Klein may be done with its runway collection for good. According to reports from WWD, the American fashion brand is closing its Calvin Klein Collection label, which became known as CalvinKlein205W39NYC under Simons in 2017. Given the decision to eliminate its runway division, the company is laying off employees who worked for the runway label as well—including 50 employees in its New York office and 50 in the Milan office. Additionally, the brand is said to be closing its Milan office altogether. The news comes after Raf Simons’ departure as chief creative officer in December. The designer’s vision under the 205W39NYC brand was reportedly too luxe for Calvin Klein’s core customers, who preferred the brand’s denim, underwear, and fragrance divisions. Originally, Calvin Klein said it had planned to relaunch its runway collection under a new name and creative direction. In January, the brand also announced the closure of its New York collection flagship store at 654 Madison Ave. At the time, nearly 100 employees were let ago across the entire company, including the flagship store. Calvin Klein first began showing at New York Fashion Week in 1994. The brand instantly became known for its cool, minimalist designs and denim that helped shape ’90s fashion as a whole. It also helped skyrocket the modeling career of Kate Moss, cementing her status as a grunge icon and the face of “heroin chic” during the decade. The discreet aesthetic surgeries and procedures proving increasingly popular at clinics. Things got a little wild as rock ‘n’ roll royalty partied it up at The Plaza Hotel.